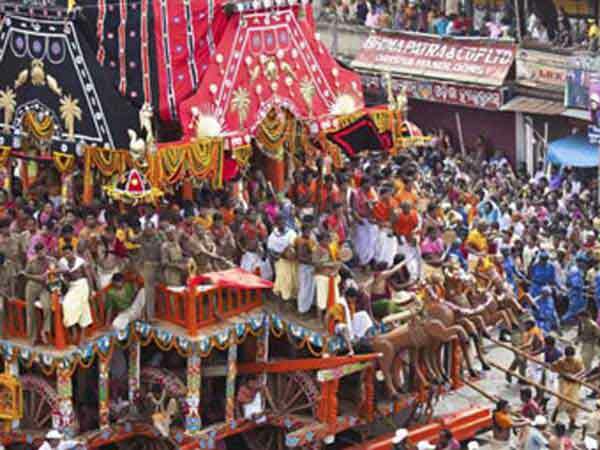 Puri Rath Yatra chariot carrying Subhadra, Balabhadra and Jagannath deities to Jagannth Temple. Rath Yatra for the year 2018 is celebrated/ observed on Thursday, July 14. Saturday, July 14th is the 194 day of the 2018 calendar year with -9 months, -8 days until Rath Yatra 2018. When is Rath Yatra 2019? When is Rath Yatra 2020? When is Rath Yatra 2021? When is Rath Yatra 2022?